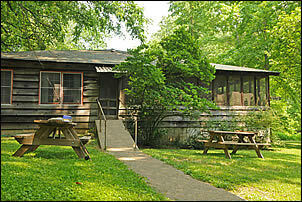 Come enjoy our cabins near the Ohio River or our cabins on the Blue River! 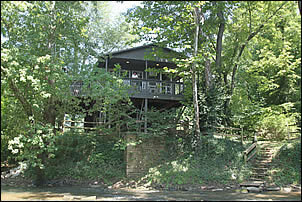 Horseshoe Bend Cabin sleeps 4 and is located above the campground. 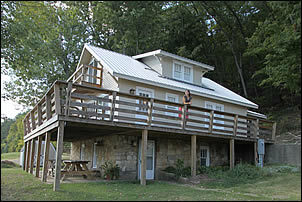 This cute cabin includes 2 bedrooms, 2 baths, and a wrap-around deck offering great views of the Horseshoe Bend of the Ohio River. Use of our boat ramp is included during your stay. 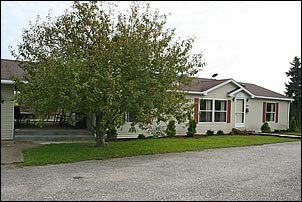 The Lake House sleeps 12 and is located close to the Interstate. This spacious rental includes 3 bedrooms, 2 baths, finished walkout basement (with additional beds), and a huge deck overlooking a private, stocked lake. Great place for familes going to Holiday World. copyright © 2011-2019, The Technological Edge, Inc. All rights reserved.